Today’s homeowners are focused on making changes to their front yards so they’re markedly different from their neighbors’ years and easier to maintain. More homeowners are turning to low-maintenance plants to enhance their front yards. 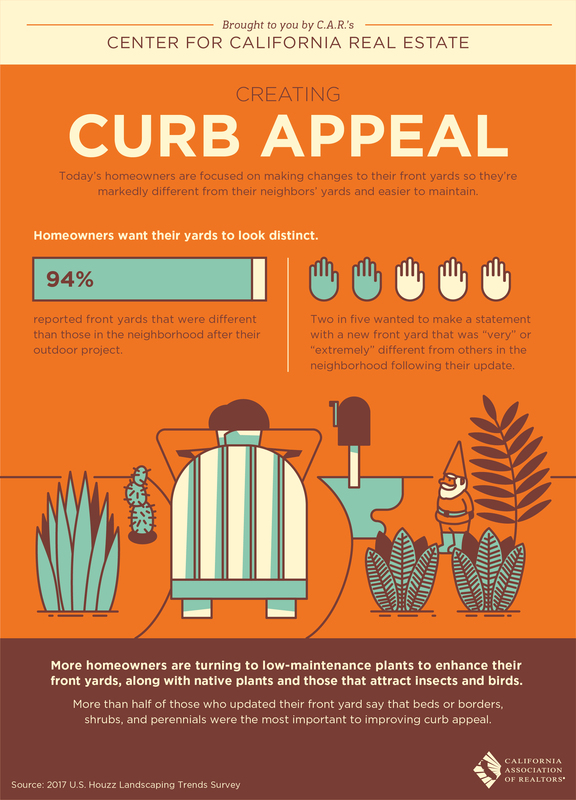 More than half of those who updated their front yard say that beds or borders, shrubs, and perennials were the most important to improving curb appeal.